Mr Samuel Mills was born in 1846 at Avening, Gloucestershire, England. He later married Elizabeth (no maiden name available) also from Avening, Gloucestershire and moved to the South Wales Valley’s to work at the collieries. On the 1881 census Mr Mills and his wife Elizabeth lived at 4 Oakland Terrace, Llanhilleth. Mr and Mrs Mills had three daughters – Miss Harriett T. J. Mills, born at Llanhilleth in 1883. Miss Edith B. Mills, born at Llanhilleth in 1886 and Miss Beatrice R. M. Mills born 1888 also at Llanhilleth. The Monmouthshire and South Wales Miners Association. Mr Samuel Mills worked as a checkweigher at Aberbeeg Colliery and later became the Aberbeeg district secretary, miners delegate for the Monmouthshire Miners Association and later the general secretary of the local lodges under the name of the Monmouthshire and South Wales Miners Association. Mr Samuel Mills along with Mr William Brace were seen as the creators of the South Wales Miners Federation in the late 1890’s. Fair View Cottage and Rose Cottage. 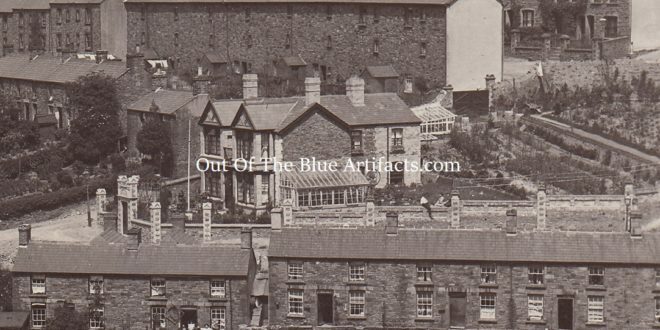 In the late 1880’s Mr Mills was living with his family at Fair View Cottage, Six Bells, Abertillery. He also purchased Rose Cottage at Six Bells at this time. 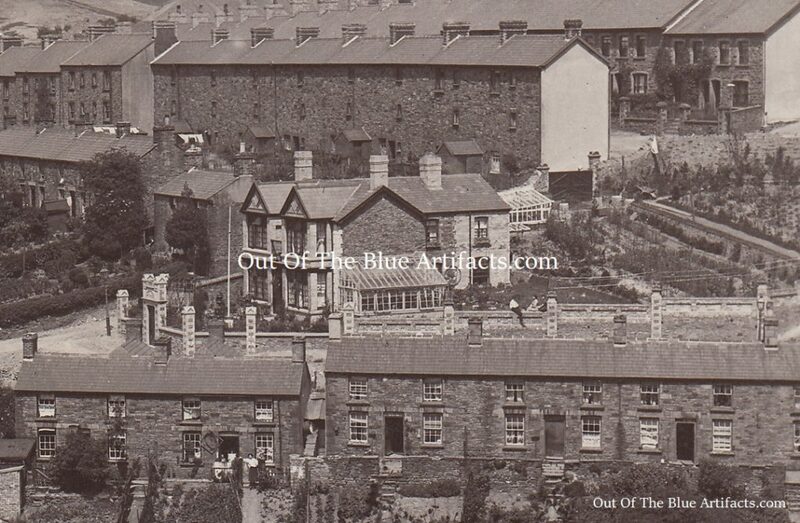 Fair View Cottage (as seen in the main featured image above) at the far end of Jubilee Road, Six Bells, Abertillery was held under lease dated January 1886 for 99 years with a ground rent of 16s. I believe Fair View Cottage was sold to Mr John Esau of Six Bells, Abertillery after the death of Mr Mills as in June 1909 Mr Esau put the cottage up for sale, it was withdrawn after it did not reach its reserve. Rose Cottage at Six Bells, Abertillery was in the possession of the Mills family although after Mr Mills death was sold to Mr John Esau of Six Bells, Abertillery for the sum of £245. The cottage was held under lease dated January 1886 for 99 years with a ground rent of 16s. 6d. Mr John Esau was the landlord of the Coach and Horses Inn at Six Bells and was also council candidate with Mr Samuel Mills and Mr W. J. Mogg in the local Abertillery and District Council elections of March 1900, the three named gentlemen were nominated but not elected. The Death of Mrs Elizabeth Mills. On Wednesday 24th February 1892 Mrs Elizabeth Mills, wife of Samuel Mills sadly passed away, it was reported that she had previously suffered from a bad fall and had been ailing for some time. The Death of Mr Samuel Mills. On Monday 2nd September 1901 Mr Samuel Mills, whilst walking to work at Aberbeeg Colliery suffered a stroke and was taken home, he was attended to by Dr T. Sullivan. On Monday 16th September 1901 Mr Samuel Mills sadly passed away at 56 years of age. On Saturday 21st September Mr Mills was buried at Llanhilleth Graveyard. His obituary stated he was a pioneer of the unionist movement. Checkweigher Post at Aberbeeg Colliery. In November 1901 a ballot was taken to chose the successor to Mr Mills as checkweigher at the Aberbeeg Colliery. The ballot was between Mr Alfred Parsons and Mr Edward Holyfield. The votes cast were as follows – Mr Parsons, 77 votes and Mr Holyfield, 84 votes. Mr Holyfield had a majority of 7 votes and was declared Mr Mills successor.